Quantum Varmam is based on the use of low doses of pulsed electromagnetic field radiation on Siddha Varma Points for prevention, detection and response to various abnormalities. It uses electromagnetic factors, similar to those occurring in nature, which have beneficial effects on cells, organs, systems and the entire organism. Low energies used in quantum varmam are absolutely safe - no contraindications, as it works in the same range of waves which radiated by the cell of a living organism. 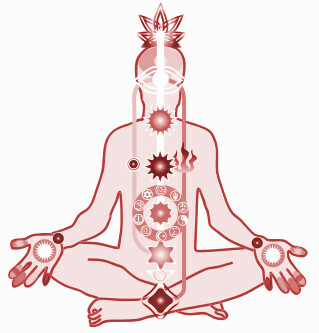 Quantum Varmam for comprehensive whole body assessment, monitoring, energy balancing, regeneration and rejuvenation. Quantum Varmam combines bio-resonance and biofeedback fields for whole body analysis and energy balancing. Detoxification/Regeneration/Rejuvenation - using our quantum varmam - safe and effective method - activates the cell membranes and can harmonize vibration frequencies of every individual cell leading to positive results with high efficiency. Our newest generation of system developed for over 20 years and backed by solid science and successful clinical application through ALTAIM - a scientific and research enterprise of doctors, psychologists, experts in valeology and engineers in programming and medical electronics. We use special frequencies that enable regeneration of tissues, cartilage and organs by stimulating stem cells and releasing them from bone marrow. Regenerate and repair every cell in your body. You have new treatment possibilities and protocols at your disposal that are either unique or offer sensible additions to existing therapies. The healing potential extends to a wide range of medical conditions and provides an alternative for patients who have not responded to conventional therapies - Very fast, effective, scientifically proven and without side-effects. We know that the human body is not only a physical being but also an energetic- and information structure. Each organ and body part has its vibrations which reflects the biochemical parameters of organs. If problems arise in an organ or body part, the vibrations there will change, and via those changes we are able to control the physical condition of the body. That is how quantum varma devices work. Our devices reads frequencies from the entire body – all organs and body parts – analyses these by comparing with normal values and thereafter shows the health condition. If there are deviations from normal values, the device is able to correct the frequencies and improve or restore physical organs and body parts. It also reads the frequencies of varma points and which points are weak. By selecting the weakest points and also correcting these, it offers the optimal varma treatment – without needles! The program in our device database recognizes the frequencies from the most commonly existing parasites and is able to check if any of these are active in the body. If so, it is able to eliminate the parasites. Additionaly, it discovers coarse frequencies in the body (0-100 Hz) and corrects these. Coarser frequencies are controlled by finer frequencies, available in the body’s fluids, cell membranes and in the DNA. In other words, we can, with the aid of quantum varma devices, discover the symptom, affect and correct its energetic status by strengthening the varma/acupuncture points. Early detection and treatment of any diseases and illnesses is very important. It is essential to have a healthy body with strong resistance to diseases and to be able to self heal from any ailments... The quantum varma device that we use is the only device in the world with an extensive database of frequencies for varma/acupuncture points, naadies/meridians/vaayus and pathogens - able to both perform detailed analysis and corrections in real time mode. Our Body is the Best Doctor - Prevention is Better than Cure - Heal yourself without using pills, needles, drugs or even herbs. Quantum Varmam painlessly normalizes energetic imbalances by bringing the body's negatively misaligned electromagnetic energy back to its natural, healthy flow - proven to strengthen organs and tissues - treats allergies, food intolerances, circulatory diseases and psychosomatic illnesses - enhance the immune system, relieve pain, reduce stress and postpone the aging process. It’s over 60 years since scientists from different countries began the first measurements of electromagnetic waves’ frequency spectra in bodily organs, body parts - in animals and in micro organisms. But a systematic organization of these data became possible first when computers were getting larger memory capacities. And, now - it is possible to measure frequencies, perform effective health checks of the body, discover micro-organisms and perform relevant therapies. Our Quantum Varmam presents completely new opportunities for human health. During a few minutes of scanning, you will see the complete functional status of the entire body and all its organs as well as the body’s stress levels - diagnostic evaluation of organs and systems in real time, showing up to 1170 functional stress conditions - assessment of up to 70 psycho-emotional states - detects weak energy flow or lack of energy in the naadies/meridians, varma/acu points and then corrects and balances these back to health – without needles! Our team constantly participates in ongoing professional education and research to bring you the latest and most effective safe technologies. As a quantum varma research operations - we do not provide allopathic medical advice of any kind. Our job is to help people use our quantum varma sessions as a complementary remedy in a way that is safe and most likely to be effective. Discover wellness and balance through quantum varmam - all without drugs or surgical intervention - no side effects. Our method stimulates your body’s own healing resources. Studies have also been made at a number of medical and scientific institutions both in Russia and abroad. Based on research, many scientific articles have been published and a number of theses have been presented so far. The research area is constantly growing. New scientific team have joined to contribute to the research and development of new quantum varma medical technology. The information contained within our web site is for educational and research purposes only. We do not prescribe, diagnose or make allopathic medical claims. All information on this site should not be taken as literal advice. No action should be taken on information read on this site without consulting your doctor first. If you use the information in this site without the approval of a health professional - you prescribe for yourself - which remains your lawful right - but Cyrinus Joseph, Camilla Joseph, EASRON or our directors/employees do not assume any responsibility. Your results may vary. Everything in life is risk - risk can only be mitigated - never eliminated.